It's the season for durian again! For this harvest, why not enjoy these rich and creamy seeds a little offshore? 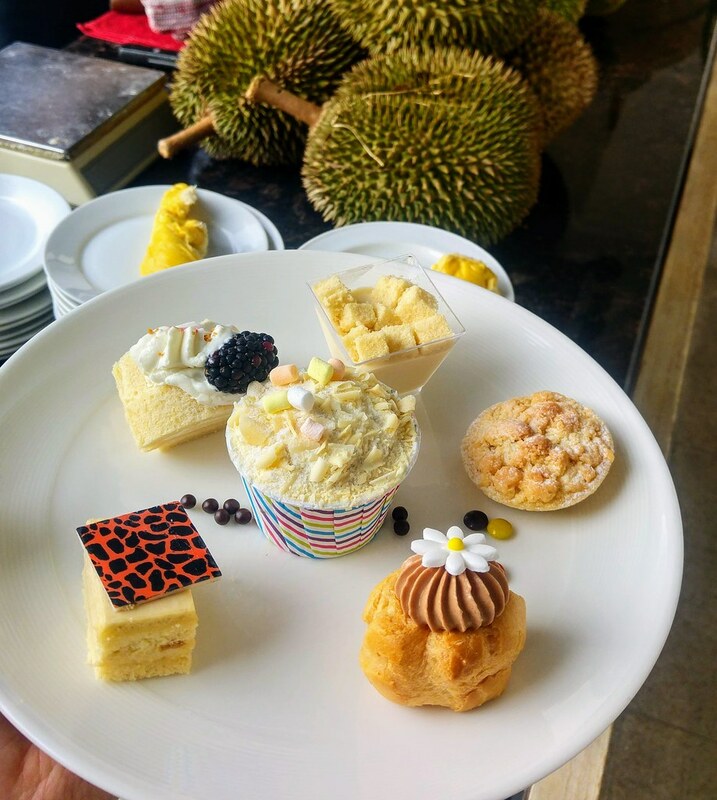 From now till 1 September, Le Méridien Singapore at Sentosa is going to dazzle you with a range of durian-inspired delights and classics on their Du-licious Discovery Durian Buffet. 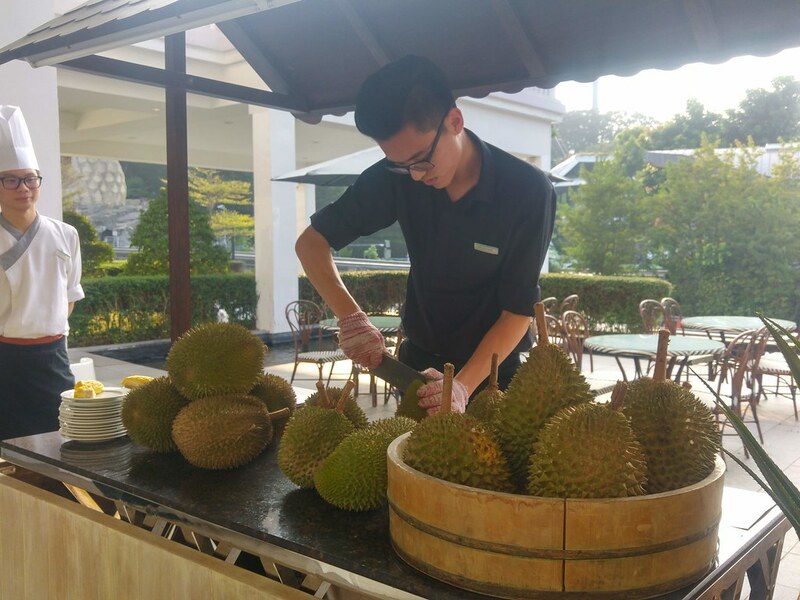 For the first time, Le Meridien opens up the alfresco patio of Latest Recipe and set up a durian pop-up stall for that one-of-a-kind one and only duo durian buffet experience on Sentosa Island. Against the backdrop of the iconic Sea Merlion, enjoy an unlimited servings of three to four premium and delicious durian varieties like Mao Shan Wang, Red Prawn, D24 and XO for 1.5 hours. Please note that this durian pop-up will only be up until 28 July. Within Latest Recipe, durian-centric dishes await you. 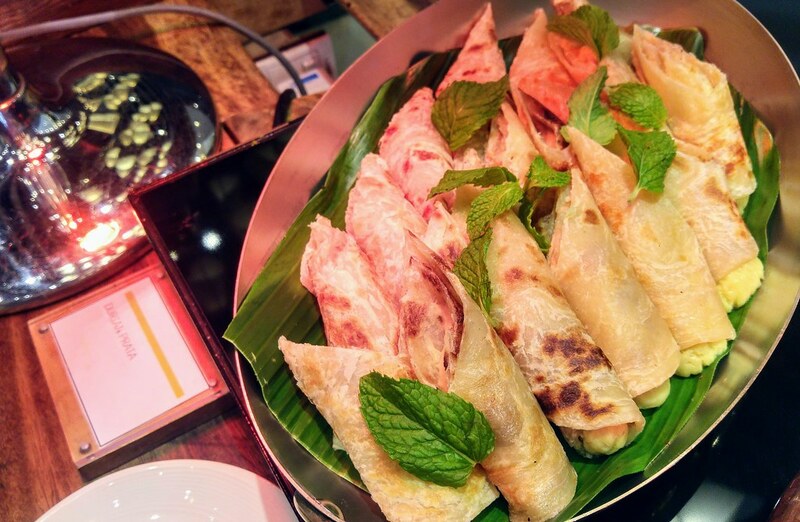 Although the concept of durian pastries is not new but there are some rather creative items worth nothing here, such as the Durian Doughsticks, Durian Prata and Durian Pizza. 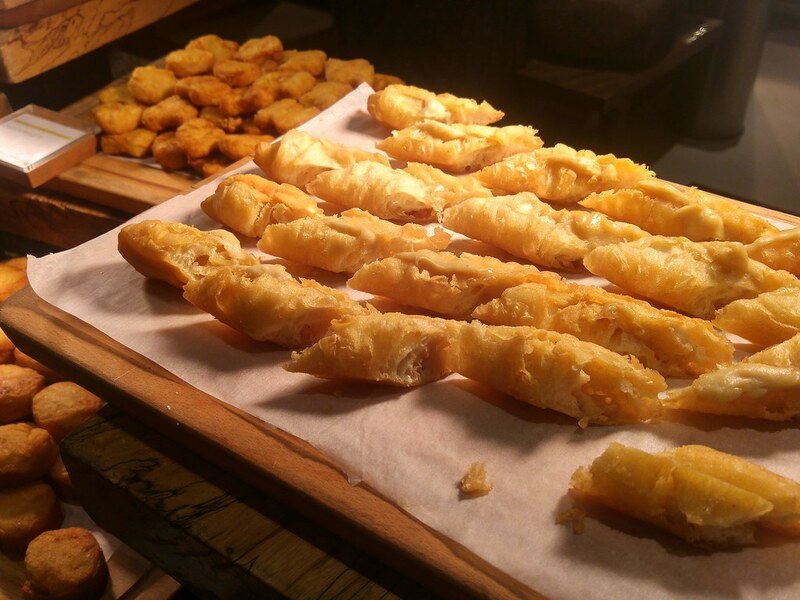 The Durian You Tiao definitely worth the extra calories. Just a suggestion - There is Durian Pengat at the dessert counter, so you might want to use that as a dip perhaps, for the extra oomph? The dessert counters are filled with chef's inspirations such as Durian Mousse, Durian Choux Puffs, Durian Swiss Roll and Durian Crème Brulee. The Durian Cupcakes tower just makes everyone wants to reach out and grab one! 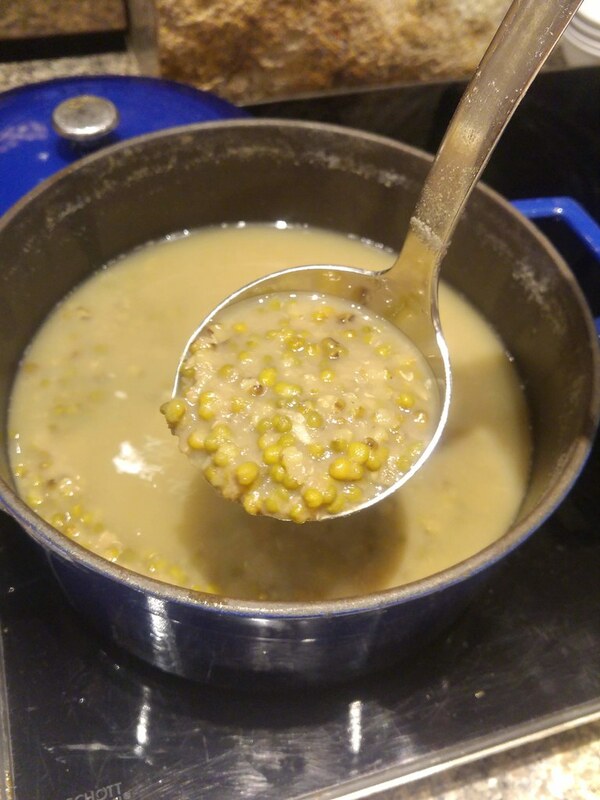 What took us by surprise is this Durian Green Bean Soup. The durian taste is quite subtle but the durian fragrance somehow blends really well with the green beans and enlivens the taste of this classic dessert. 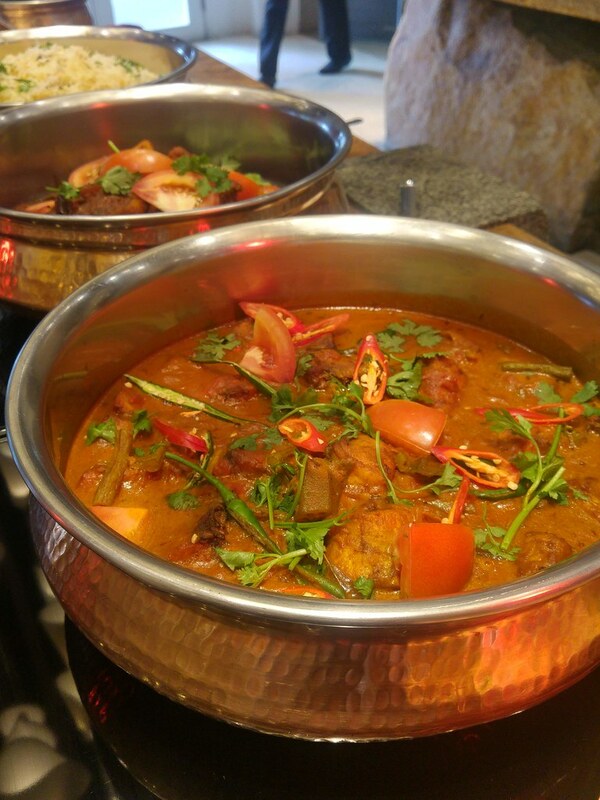 The quintessential buffet items include Fresh Seafood on ice, local dishes such as Laksa Live station, Salted Egg Yolk Prawns and Indian delights, in which I find the Fish Curry quite memorable. 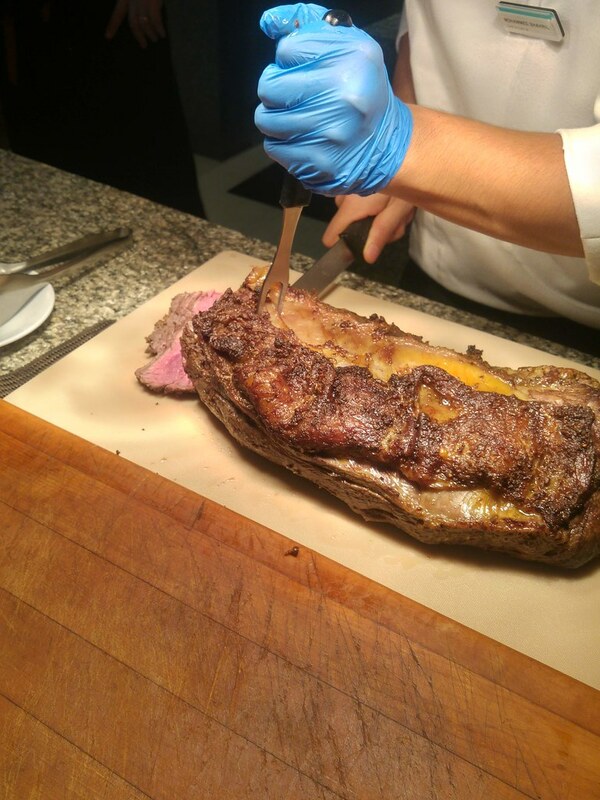 For meat lovers, there are always the Roasted Meats from the Barbecue Live station to fill your stomach before the durian feast starts. 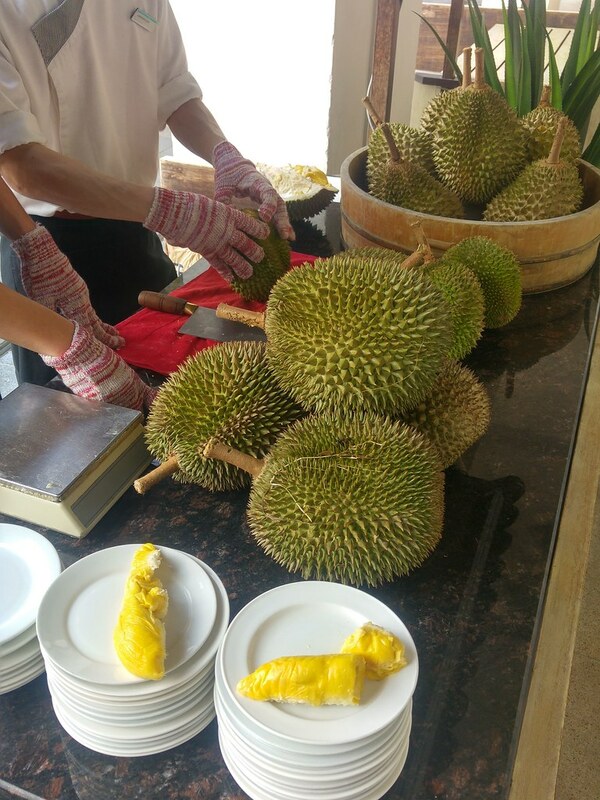 I really enjoyed savoring the durians in the alfresco area. 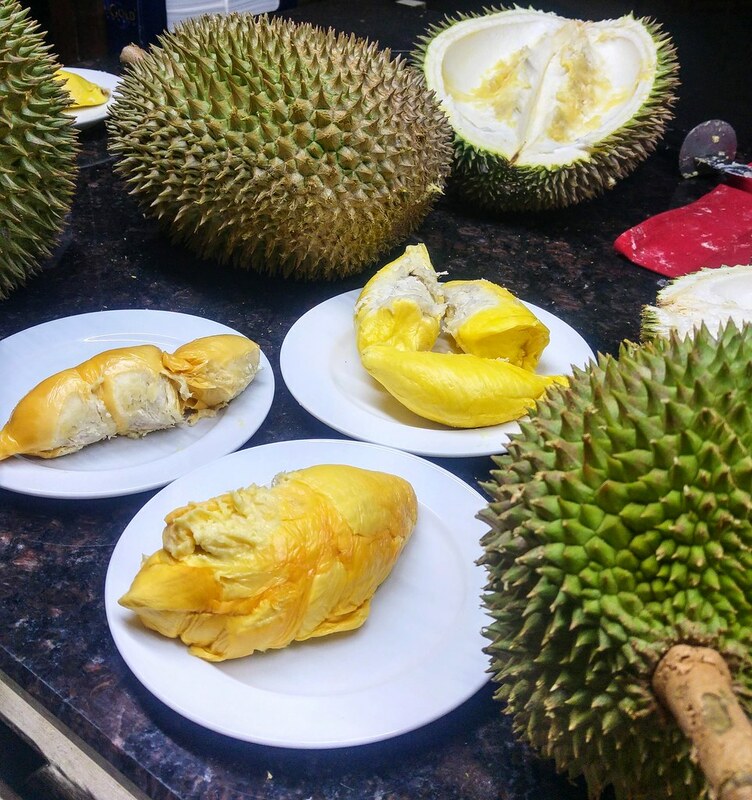 For a better-value-for-money durian indulgence, it is recommended that you opt for both the buffet which features durian desserts and unlimited servings of fresh durian from the alfresco durian pop-up stall.